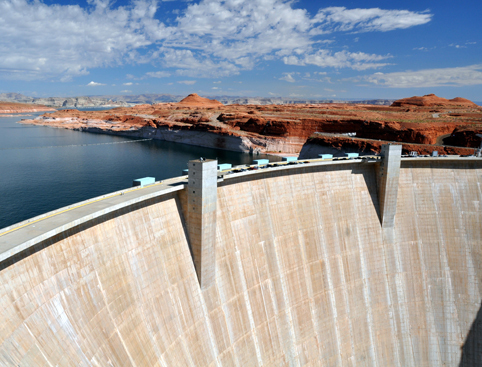 Visit the astonishing Hoover Dam, which is one of the seven wonders of the Industrial world, on this premium tour! 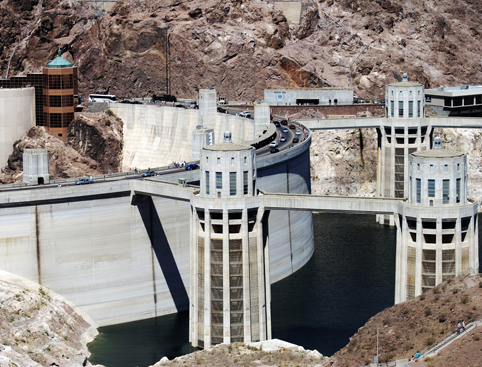 The Hoover Dam has been called one of the “seven wonders of the industrial world”, sitting alongside such wonders as the Panama Canal and the Brooklyn Bridge. 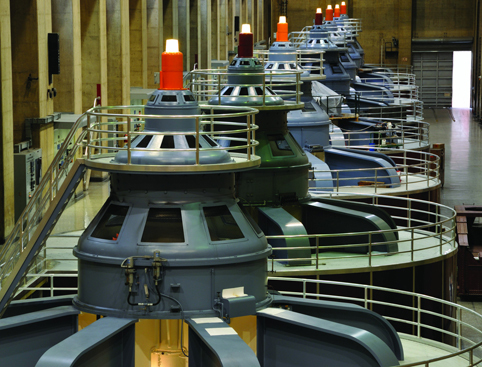 Now’s your chance to visit this miracle of modern engineering, not far from the glittering lights of Las Vegas. 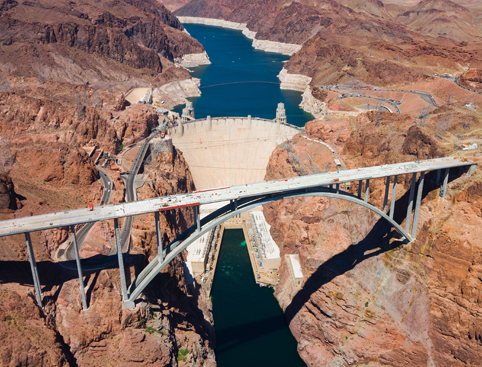 Your first stop will be at the Hoover Dam Bypass Bridge, which offers incredible views of the whole dam for your viewing pleasure. You’ll certainly be able to see why it’s one of America’s National Historic Landmarks, especially when you find out it was built in less than five years. After you’ve taken a cameraful worth of photos, it’s time to head to the Dam itself. This tour offers 2 hours for you to explore. You can see the theatre, check out the exhibit rooms, observation deck, Visitor's Centre and museum, or nip across the whole dam on a quick journey from Nevada to Arizona! You’ll get to stop at Boulder City on your way back to Las Vegas. This was a special city built for Hoover Dam workers and their families. You can choose to wander around this unusual place—it’s retained much of its vintage charm from its founding in 1930, and is the only place in Las Vegas where gambling is illegal. You’ll be delivered back to Las Vegas after Boulder City, hopefully with hundreds of photos and a new appreciation for the people who helped build the Hoover Dam! 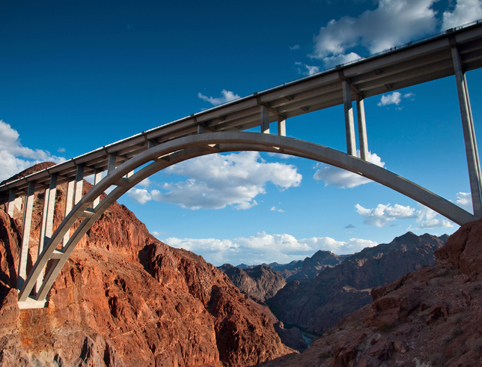 Walk the Hoover Dam Bypass Bridge for amazing views of the Hoover Dam! Guests in wheelchairs can access the Bridge and most of the Dam. The coach is wheelchair-accessible; please contact us when you book so we can arrange an ADA lift for you.